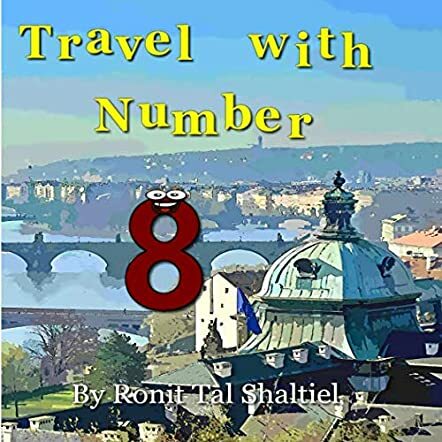 Travel with Number 8: Czech Republic: The Adventures of the Numbers by Ronit Gizel Shaltiel is a good combination of adventure, math, and social studies, and will make learning fun for children. Numbers 1, 2, 3, 4, 5, 6, 7, and 8 are traveling the world together and they reach Prague in the Czech Republic. Number 8 loves the place and decides to stay to learn more about the country and its castles. He first goes to the Rudolfinum and sees some bears there. The bears tell him about the castle and advise him to visit Prague Castle. He goes around the castle and meets some doves who give him details about the castle. They tell him to visit Troja Palace, and so Number 8 goes around the place, and the porcupines there tell him to visit the town of Kutna Hora. He sees a lot of sights and then it is time for him to return home. This book, like rest of the books in the series, is informative and educational, and children will start liking math and social studies. The book also encourages travel, and it will get children interested in traveling and exploring new places. The pictures take readers to Prague, and they will enjoy seeing the places of interest there. Books like this will make math and social studies interesting, and tutors, educators, and parents can introduce this series to their students and children to make learning interactive and fun. Travel with Number 8: Czech Republic is definitely a must-have in school libraries and personal collections at home because of its educational content.